(Bloomberg) -- Rupert Murdoch’s Fox has decided not to bid for a group of television stations being sold by Nexstar Media Group Inc., according to a person familiar with the situation. The company, which will be spun out of a separate deal with Walt Disney Co. next week, is focusing instead on getting better terms on the deals it has with affiliate stations, said the person, who asked not to be identified because the deliberations are private. Unlike other bidders, Fox owns the rights to popular programming like NFL games, giving the company clout in negotiations with station owners. With Fox out, Irving, Texas-based Nexstar will be evaluating other bidders for the roughly 16 stations, located in cities such as Des Moines, Iowa, and Washington. Other suitors include Tegna Inc., E.W. Scripps Co. and Apollo Global Management LLC, people familiar with the matter have said. 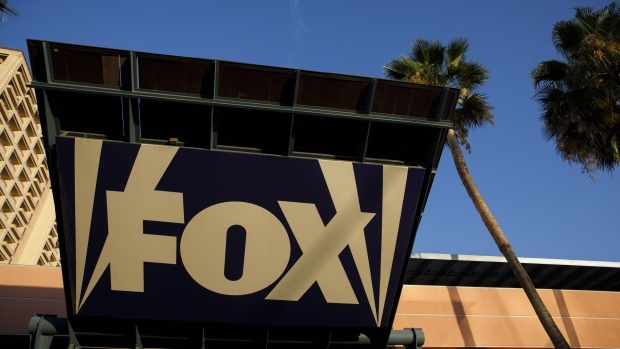 The seller needs to dispose of the assets, about five of which are Fox affiliates, to complete its $4.1 billion acquisition of Tribune Media Co.
--With assistance from Nabila Ahmed, Kiel Porter and Gerry Smith.